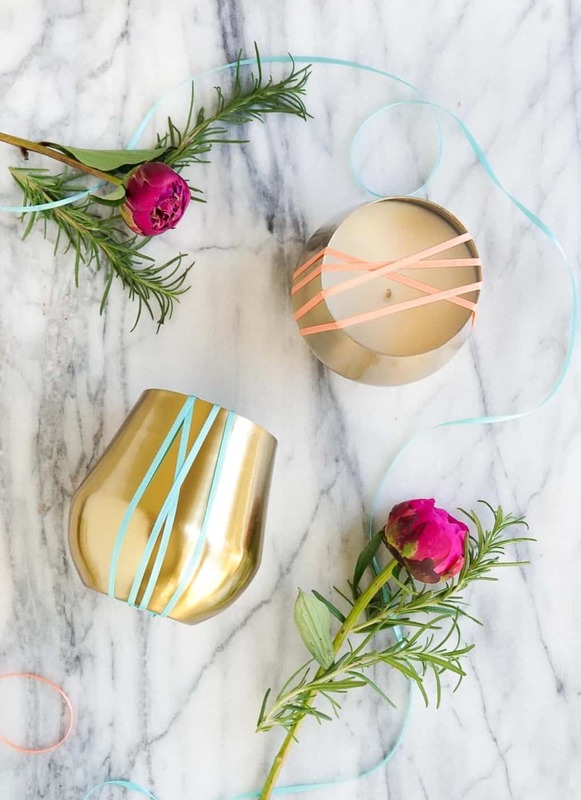 When it comes to holiday gifting, I, Erin, really don’t think you can go wrong with candles. 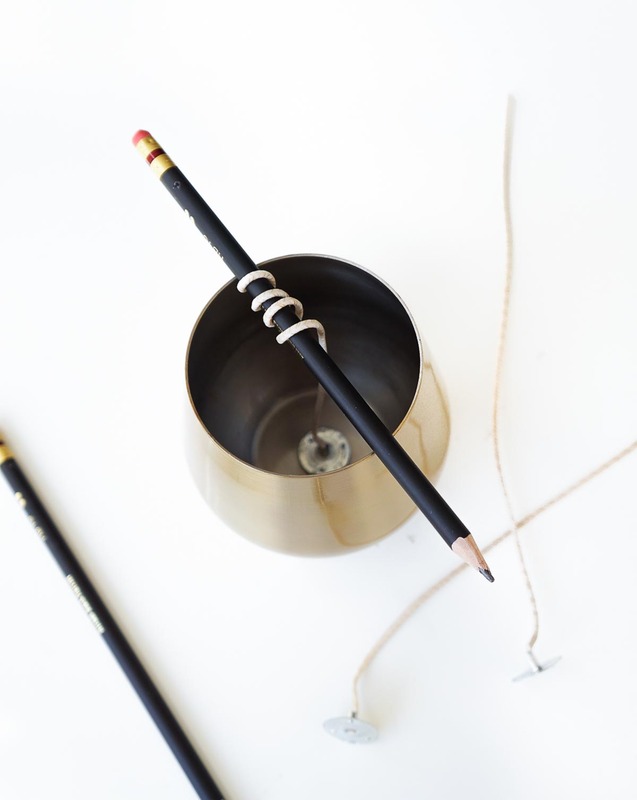 They’re a useful and beautiful gift that people don’t always splurge on for themselves. 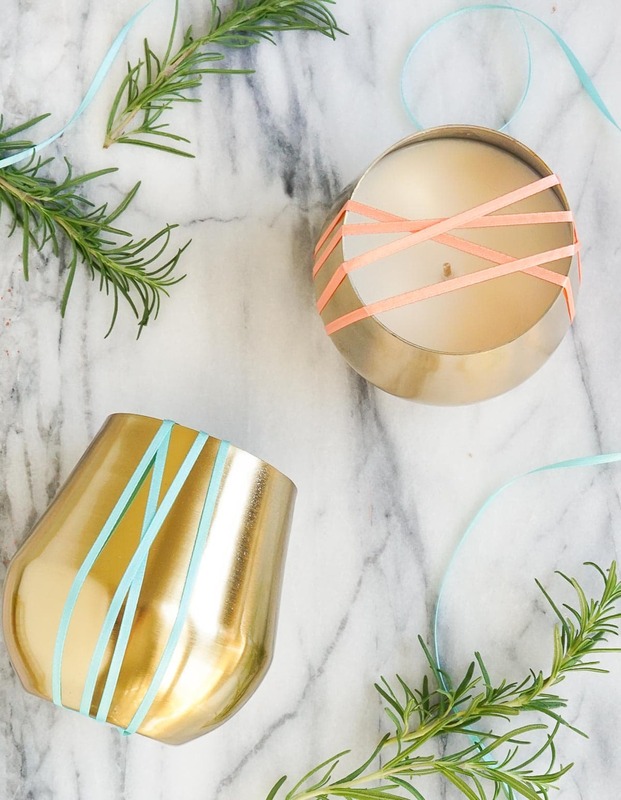 Plus they’re somewhat of a one-size-fits-all gift for hosts, Secret Santas, co-workers, etc. 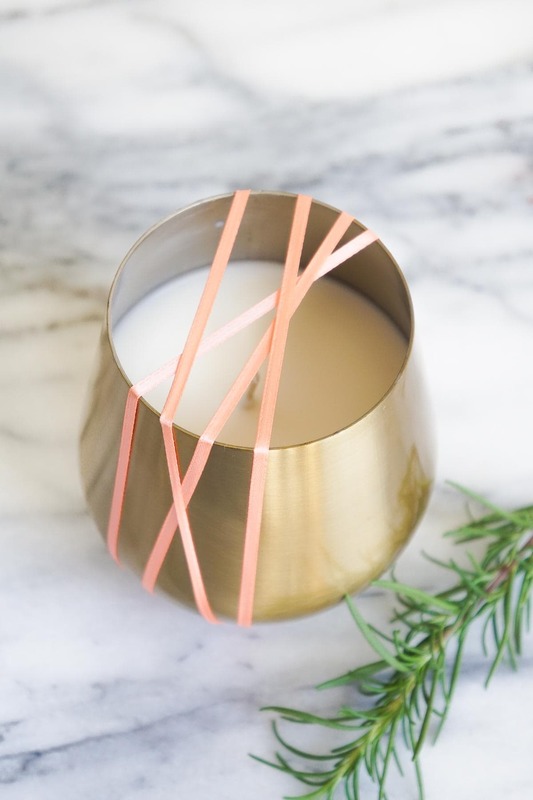 Particularly this super cute DIY rosemary and grapefruit candle combination! 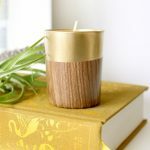 • Use Soy Wax: Not only is it non-toxic, but it’s water soluble making it a SNAP to clean up. 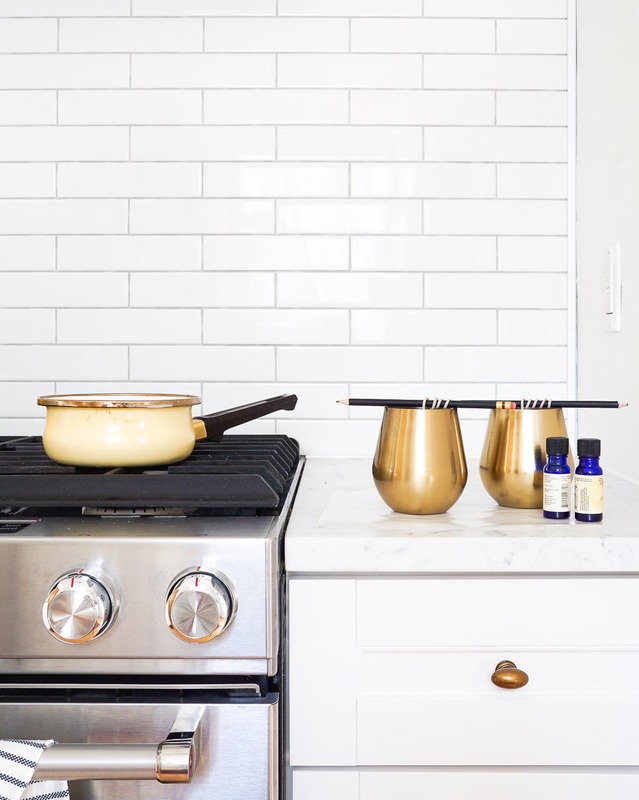 Pure beeswax is also a non-toxic option, but it’s a nightmare to remove from kitchen surfaces, in case of any wayward drops. 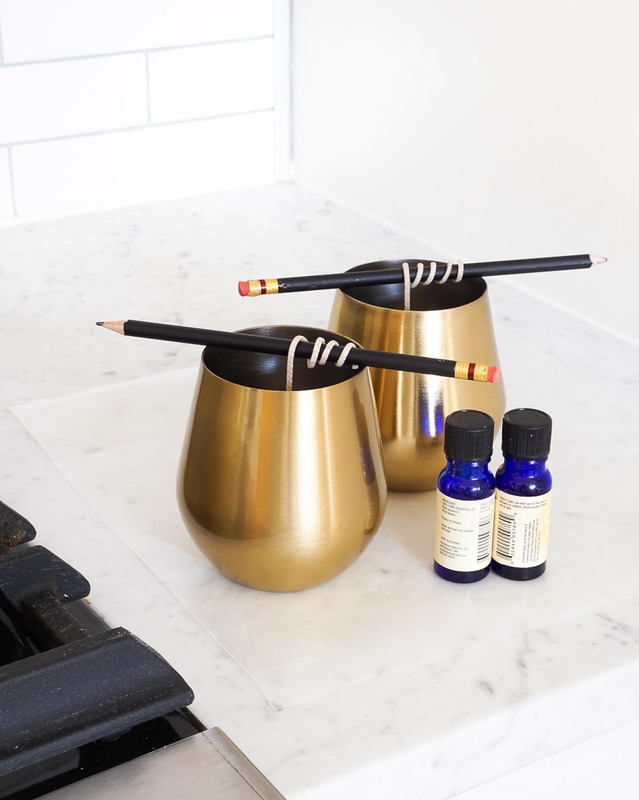 • Forget the Double Boiler: No need to mess with setting up a double boiler and investing in an overpriced candlemaking pour pot. I use a thrifted saucepan that’s dedicated to candlemaking only, and melt the wax directly in the pan on low heat. 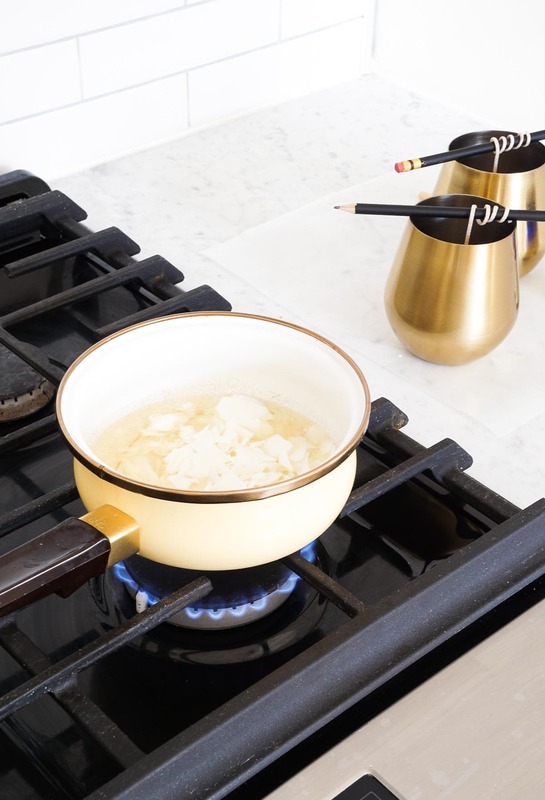 With this method, you’ll want to stir pretty frequently, and remove the pan from heat as soon as the chips are melted. However, it’s less set up/clean up and less expensive to get up and running with supplies in the beginning. • Lay Down Wax Paper: Do yourself a favor and lay down parchment or wax paper on your counters before you begin. 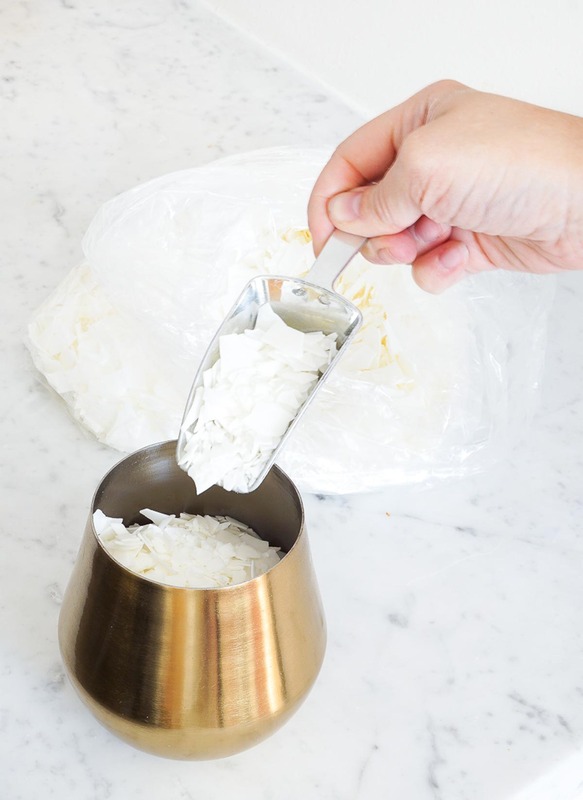 Soy wax is easy to clean, but wax paper eliminates the need for any scrubbing. Lay parchment paper down next to your stove to make clean-up easier. Then measure out your wax flakes. A good rule of thumb is to double the volume of each candle vessel. Heat the wax on low heat, stirring frequently just until the wax flakes are melted. Remove the pan from heat. 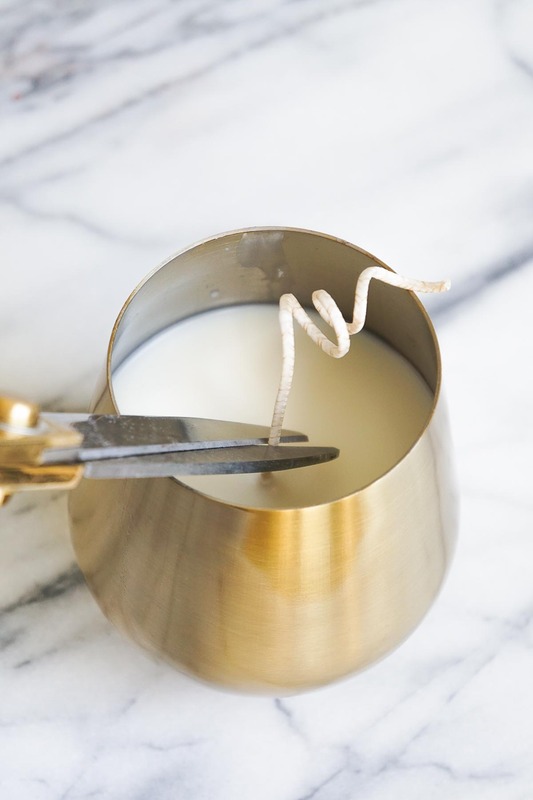 While the wax is cooling slightly, place the metal wick plates so they touch the bottom of each vessel, then wrap the excess wick around a pencil or wood dowel and rest on the opening. 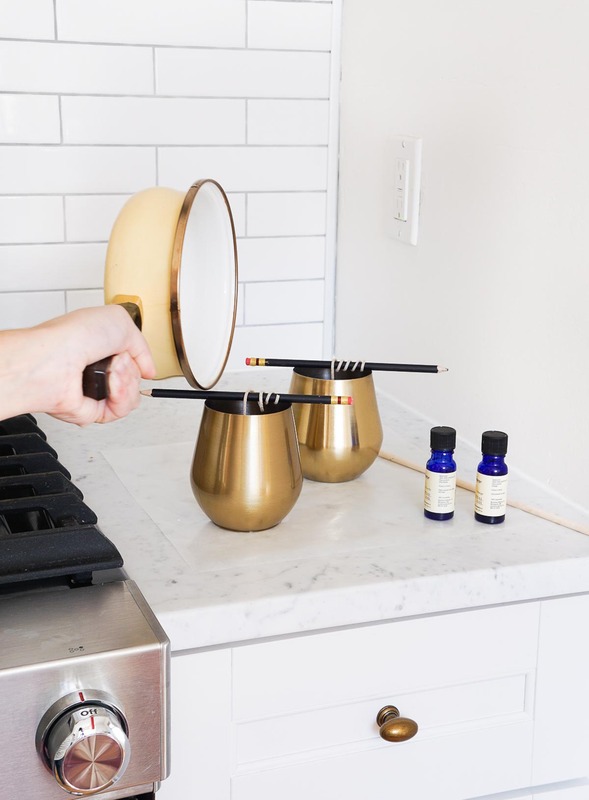 Add roughly 20 drops of each essential oil per candle to the pan and give it a stir. (The number of drops you’ll need will greatly depend on how strong you’d like the scent to be and the brand of essential oil you use.) Since I’m making 2 candles, I’ve added 40 drops of each oil. Next, evenly divide the wax between the vessels and allow to cool to a solid state. Once the wax is completely cool, trim the wicks to ½”. 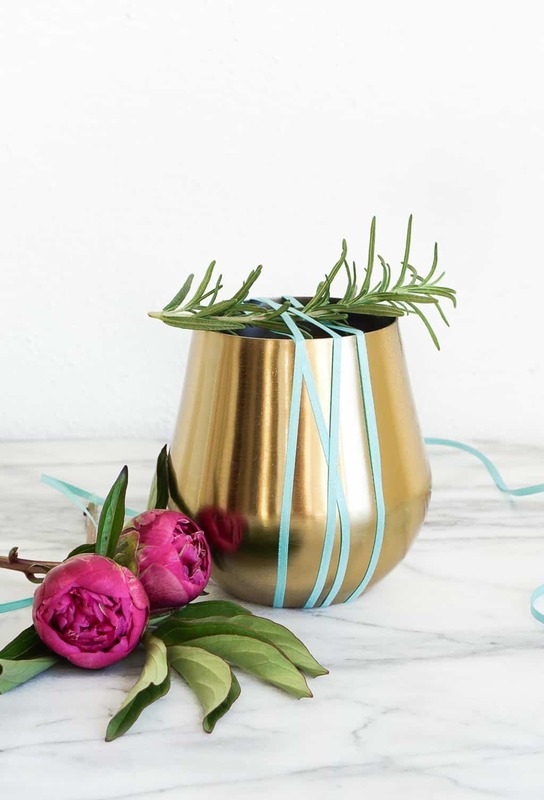 If giving as gifts, wrap the candles top to bottom with ribbon and secure with a piece of tape on the bottom of the vessel. Garnish with rosemary sprigs. But make sure to remove the accoutrements before lighting these babies! 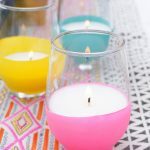 Have you made essential oil candles at home? What are your favorite scent combinations?! You make it look so easy. I certainly want to make some now. Erin is pretty much a genius! So surprised by how easy this is! Where did you get your pots from? What brand oils did you use? I see the label isn’t displayed in photos. 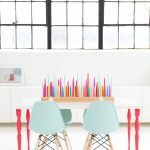 Hi Beth, we’ve linked to some of our favorites in the post! I love the gold pots you made these in! 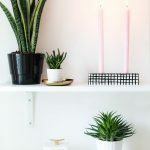 Candles Make such great gifts, really want to make some myself after Reading this! Love these! Im curious how much waX you used per candle? 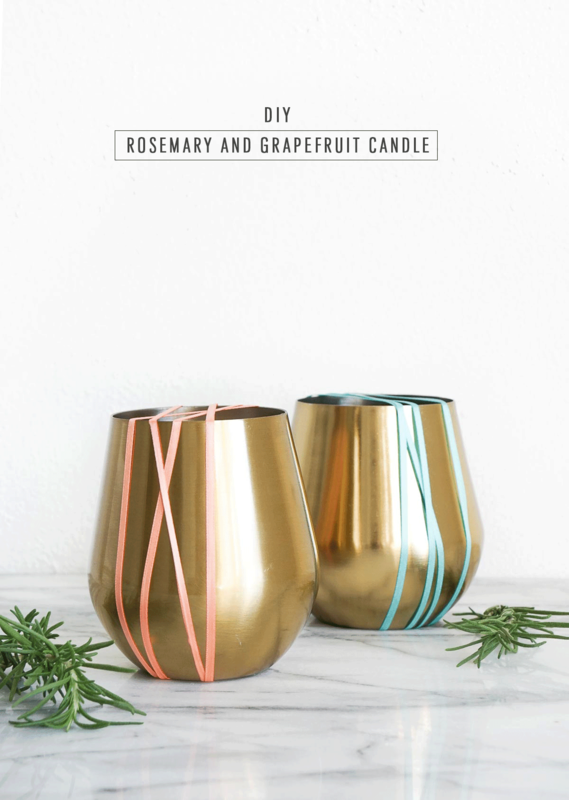 I see dOuble the aMount of the candle Vessel, but can you gIve an approx amount for ordering purposes? 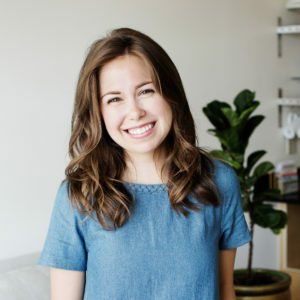 Hi Kylnn! So glad you like the DIY. I believe Erin based the amount she ordered on the measurements of the vessel online!